The long awaited Second Edition of the Myo Manual is now available! 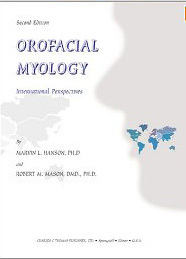 The “Myo Manual” has become the Orofacial Myology treatment program of choice worldwide for dental professionals, speech pathologists, and oral myofunctional therapists. It contains all the forms you need to provide a total treatment plan: Three proficiency exams, home observation sheets, evaluation and oral examination, time charts, and vacation plans as well as a night time chart and a subconscious CD. You will be able to establish baselines and track results and improvement. This exciting Second Edition of the Myo Manual was created to be extremely “user friendly” for both the therapist and client. It is a Sequential, Sensible and Systematic method that gives you the typical assignments for clients as well as the criteria for passing each section of exercises. BONUS! 100% credit for this purchase may be applied toward the Neo-Health Services introductory course in orofacial myology for those who are eligible and choose to attend. The MYO KIT includes the Myo-Manual and the 6 six basic tools to start your treatment program. The Myo Manual Treatment Program, used worldwide in all types of facilities, is the culmination of the author’s lifetime of experience treating and studying oral myofunctional disorders and “tongue thrust.” It includes proficiency exams, observation sheets to establish baselines, two tracks for subconscious training, sample evaluation and oral examination forms, Night Time Charts, Time Charts and an Appendix Section with additional forms. All three phases are covered: Pre Treatment Conditioning, Chew-Swallow Mechanics, and Integration into Lifestyle. Dozens of exercises are provided for every small step along the way, providing you with detailed exercise activities tailored for each of your patient’s individual needs. This is a must for every speech pathologist, dental hygienist and dentist who wants to provide a Systematic, Sequential, and Sensible treatment program for oral myofunctional disorders of all types. BONUS! 100% credit for this purchase may be applied toward the Neo-Health Services introductory course in orofacial myology for those who are eligible and choose to attend. The MEGA MYO KIT includes the Myo-Manual and ALL the tools you need for a complete treatment program (6 Basic tools + Myo Lip Meter + Both Charts + Activity Bag + Myo Tracks) The MEGA MYO KIT offers you the best saving by combining everything you need for a complete treatment program. 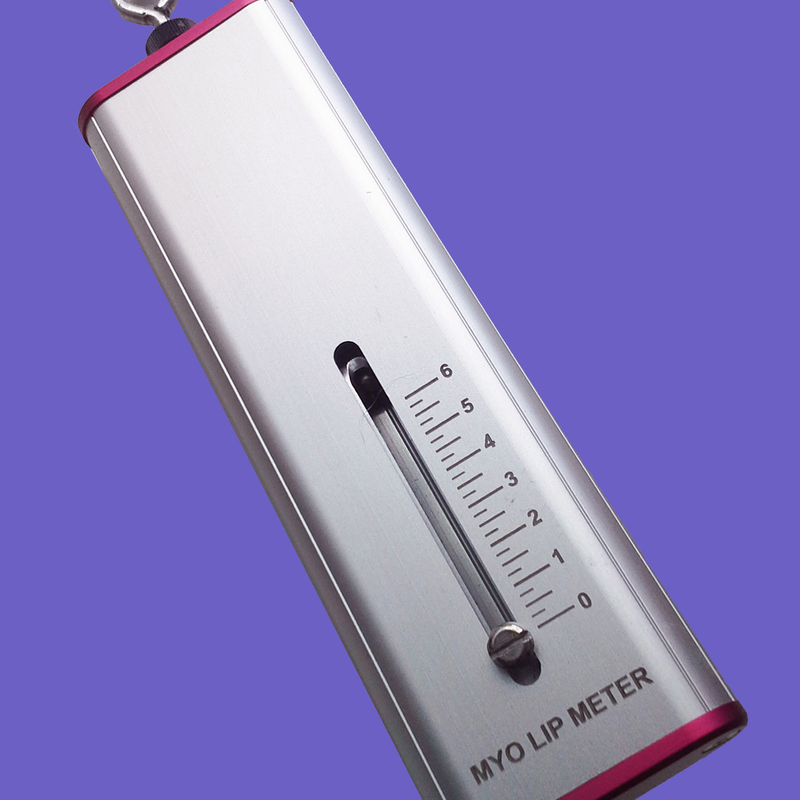 In addition to the six basics tools, you receive the Myo Lip Meter, the Myo Lip Meter Charts and the Assignment Charts. 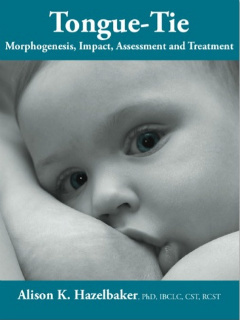 This Treatment Program, used worldwide in all types of facilities, is the culmination of the author’s lifetime of experience treating and studying oral myofunctional disorders and “tongue thrust.” It includes proficiency exams, observation sheets to establish baselines, two tracks for subconscious training, sample evaluation and oral examination forms, Night Time Charts, Time Charts and an Appendix Section with additional forms. All three phases are covered: Pre Treatment Conditioning, Chew-Swallow Mechanics, and Integration into Lifestyle. Dozens of exercises are provided for every small step along the way, providing you with detailed exercise activities tailored for each of your patient’s individual needs. The MEGA KIT provides a Systematic, Sequential, and Sensible treatment program for oral myofunctional disorders of all types. BONUS! 100% credit for this purchase may be applied toward the Neo-Health Services introductory course in orofacial myology for those who are eligible and choose to attend. The 2-Way Mouth Prop is a reusable stabilization tool. 2-Way Mouth Props (2WMP) can be oriented as needed for each client. Since mandibular involvement is such a common symptom of an oral myofunctional disorder, the clients are first given exercises to “dissociate” or separate mandibular from lingual movements. Prior to being able to achieve this, “assistance” is needed in the form of a 2-Way or 3-Way Mouth Prop to help the client achieve the desired goals of an exercise. Package of five props. The stabilization tool suitable for all your patients. Since mandibular involvement is such a common symptom of an oral myofunctional disorder, the clients are first given exercises to “dissociate” or separate mandibular from lingual movements. Prior to being able to achieve this, “assistance” is needed in the form of a 2-Way or 3-Way Mouth Prop to help the client achieve the desired goals of an exercise. The 3-Way Mouth Prop can be oriented as needed for each client. The 2 and 3 Way Mouth Props are the most common stabilization tools. Since mandibular involvement is such a common symptom of an oral myofunctional disorder, the clients are first given exercises to “dissociate” or separate mandibular from lingual movements. Prior to being able to achieve this, “assistance” is needed in the form of a 2-Way or 3-Way Mouth Prop to help the client achieve the desired goals of an exercise. Props can be oriented as needed for each client and have been combined in this package for your convenience. 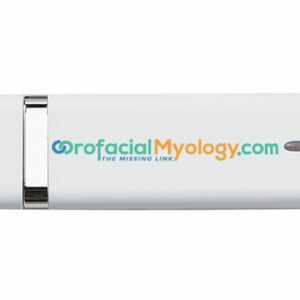 The Myo Lip Meter is used to establish a baseline during the initial evaluation and to demonstrate improvement during treatment. It is an excellent source of motivating the client to complete exercise assignments. This measurement tool provides data to insurance companies, referral sources and others. It is a must for those working on improving lip strength and closure. Read Why Lip Resistance Exercises are Effective? Battle Buttons are used by the individual or with a “Battle Buddy” to improve lip closure, compression, strength, and resistance. Buttons and twine may be disinfected as needed. 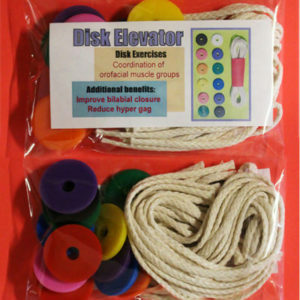 Colorful exercise buttons and sturdy twine make this a favorite of therapists and clients. Elevator Disks are colorful disks strung on sturdy cotton braiding. They are used to coordinate and improve lingual/labial/mandibular differentiation and labial competency, correct tongue placement on the alveolar ridge, and decrease hyper-gag. They are a favorite among clients of all ages. Set of activities, exercises and reminders that are used near the end of the habituation phase in conjunction with the Myo Manual treatment program. They also provide a means of practice for several weeks or months post treatment. Each activity has an accompanying image related to the original exercise that was assigned. This disposable tool is used to perform a quick test for tongue-tie (ankyloglossia) as well as for general oral and facial measurements. Directions are included in the package. The Lip Meter Chart is a helpful tool to demonstrate improvement during treatment, and to motivate the patient throughout the program. Each packet contains 10 colorful assorted designs. Assignment sheets help patients to be organized, and parents and other professionals involved in therapy to stay informed about what patients are expected to do. A big assignment area give therapist plenty of needed space. Weeks are separate by colors to facilitate tracking. 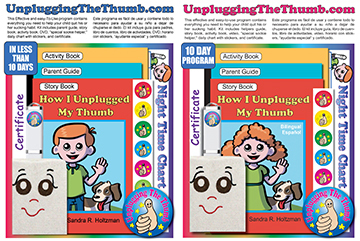 Have you seen our awesome new Unplugging The Thumb Therapist kits? Here’s a sneak peek into what’s inside! 👀 Each kit includes instructions and resources in both English and Spanish! It includes everything you need to eliminate thumb sucking, including a USB with the Unplugging The Thumb Therapist Guide on it. Visit UnpluggingTheThumb.com for more information or to order online. Unplugging the Thumb Parents Edition guides the parent to eliminate child’s sucking habits in an unstressed way. 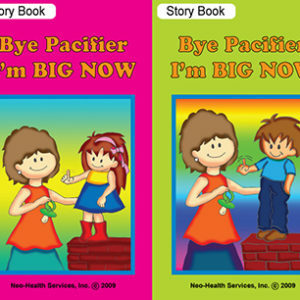 Bye Pacifier I’m BIG NOW, a book created to help kids quit pacifier in a kind way. This method makes you the helper instead of the enemy. Nothing is negative and your child slowly adapts to doing without the pacifier. 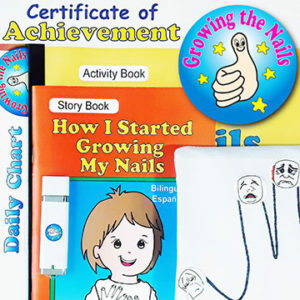 Book comes with a guide for parents and a certificate to be given to the child at completion. This delightful item is used as a naptime and night time reminder to keep hands, thumb or fingers in a safe place, away from the mouth. Each Pocket Pillow displays a unique character, created using washable non-toxic paint. This provides a positive approach to eliminating oral habits, and it is often used as a “reward” in conjunction with the Unplugging The Thumb program kit. Your child will befriend his/her own special helper and name it, as well.